Tenerife tips for its health care in Spain. Health care in Spain applies to Tenerife and all its other provinces. Health care Tenerife Spain by Hospiten Rambla. The only difference is that mainland Spain has many more hospitals of all sorts besides semi private Hospiten, similar to the one of La Rambla depicted above of Santa Cruz de Tenerife. Some hospitals specialize, such as for extreme burns. The UHNSC university hospital of Candelaria which is a government institution handles fire accident emergencies on its island first. Then, the injured is flown to a special clinic on mainland Spain. The Hospital del Sur (Tenerife South hospital) El Mojón in Arona comes up straight under the UHNSC, as it is a daughter of the main Tenerife university hospital. Find El Mojón at Carretera de Arona s/n C P 38650 Arona Tel: 922 174744 and 922 174745... It even does Rehabilitation to stop smoking. Mind that not all the important medical staff of El Mojón speaks English. To the contrary, all young doctors at the UHNSC are said to speak English well. Our family home remedies of oat porridge cooked in water with perhaps sliced Banana for seasoning as well as frequently consumed Camomile tea always helps me to recover after stomach trouble. English speaking dentists in Tenerife. Over 60 travel insurance . The HUNSC university hospital of Nuestra Señora de Candelaria of Santa Cruz de Tenerife has made news for health care in Spain Tenerife again. It is one of 20 finalists for best public, private hospitals and clinics of Spain in the category cardiology. This is very helpful to know, even if Tenerife was not going to win first prize. is part of the praised team in the HUNSC. Unfortunately, he doesn't speak English. A collegue on the same premises a Lady cardiologist is also said to be good. Tourist alternatives to Centros de Salud? Instructions i.e. permissons by travel insurances for private doctors or private health clinics, such as for Centro Medico Vida at Las Arenas, 73 of Puerto Cruz or hospitals and Hospiten during week-ends and holidays. Note: Some countries social medical insurances may refund the visit at a private clinic, which may have changed, though. Usually, that could be the case when such clinics charge less than those in the home country. However, best get a written permission from your social security health care provider at home before you travel. Otherwise, it is more safe to be privately insured for fast attendance while your travel. 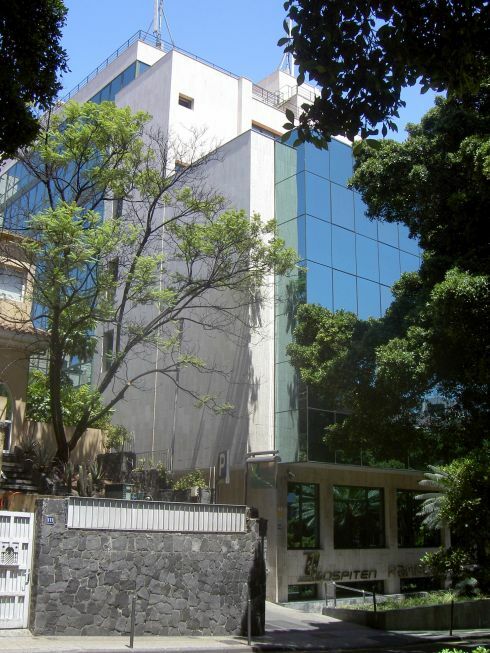 Centro Medico Vida Las Arenas Puerto de la Cruz. Centro Medico Vida at La Arenas,73 of Puerto Cruz with its free interpreters for non Spanish speakers provides a very useful emergency service to everybody. Call TLF: 922382317 Obviously this can't be the cheapest service of health care in Spain Tenerife, but this clinic has many friendly specialist doctors to help you. What about an emergency doctor's appointment in Spain? An emergency doctor appointment is called 'Cita de emergencia'. This term by translation is highly misleading. It's not health care in Spain you would ever miss. It means you must wait on standby to see a specialist even with a transfer by a Centro de Salud. It can take hours and more until you will be called up, as all people who had operations and certain others will be seen before you. This also applies to private insurance patients. However, you don't have that problem when you have a private appointment that you arrange and prepay yourself. Such appointments are also possible with specialist doctors who have rooms at Hospiten hospitals and other clinics. Then, consulting times may be relied upon more or less. 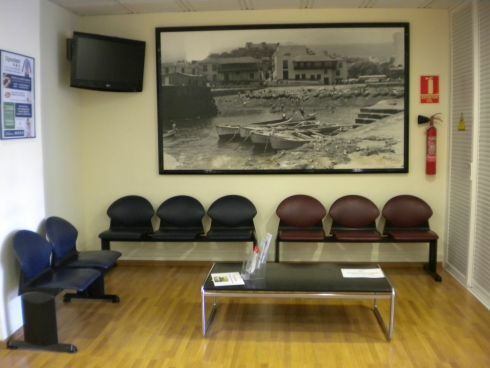 However, without an appointment, unless by a real emergency due to a road or other grave accident, you must sit and wait when you check in at the Outpost Ambolatorio at a Hospiten. In most cases, your British medical social insurance should refund your expenses. Have this confirmed in the UK, before you travel. At least, this was the case in Germany with an elderly German lady who always preferred the private Clinic at Las Arenas to a Centro de Salud. She went for expert help fast, always, as her son a Cardiologist in Germany told her to do. A few years ago, she would simply ask the Tenerife holiday home insider to join her on a taxi ride to translate during the doctor visit. You together with an interpreter, unless you speak Spanish, must report theft of the EHIC at the next police station, immediately. This is a general rule for all robberies and muggings. Then, call 44 1912181999 your EHIC provider at normal business hours to get a temporary replacement. The UK Brexit and health care in Spain? Unfortunately, nobody knows yet if the Brexit will bring to an end all according agreements between the UK and Spain. So far by December 2018, nothing has changed. How avoid prepayment of short Hospiten hospital stays as an emergency out-patient? A German with sudden heart trouble on a weekend was asked to prepay at a Hospiten. He had social security at home but had neglected to get an EHIC card. He had no other proof of his German social security medical insurance to show for either. Get your over 50, 65 and over 60 travel insurance which doesn't exclude any other age to avoid such problems with health care in Spain for tourists. To the contrary to the best of my knowledge, no money needs to be prepaid when you become stationary in a university hospital, such as Candelaria. However, finding the way to that hospital in the Santa Cruz traffic jungle is another mission. Even a cab to get you to this medicare may present a problem at certain times of the day. I know many tourists that buy over the counter medicine in Tenerife pharmacies to take back home for being cheaper. Otherwise, all or almost all your prescription medicine costs nothing, or is cheaper in Tenerife provided that you have the Blue European card which helped a German expat to save €179 per month on cancer drugs, while many were free. Also, a room with gentle care had been reserved for the terminally ill man at the Thorax building behind Hospital Candelaria. This was in case he didn't want to pass away at home. Also, an ambulance fetched him at home for hospital routine check-ups at regular intervals. Expat Elizabeth who is in her Eighties would not swap her medical care in Spain Tenerife with the UK she told me. The ex UK nurse also said once that hospitals in Great Britain have changed so much to the worse. Russian speaking Dr.Med.Irina Gurvich from RussiaCol.Nr383806.101 - General practitioner, internal medicine, diabetics, Oxygene ozone therapies, Electro and Neuralgic therapies, anti-aging & acupunture - Has her own laboratory, ultra sound, ekg(incl.mobile) equipment, 24 hour visits in homes as well as in hotels, make appointment with nurse Ingrid at 922 386 40 Emergency: 670 458 074 - C/Venezuela 4 opposite Café Berlin, Puerto de la Cruz- Tenerife - Monday to Friday 10a.m.-1 p.m.
and all sorts of glasses. Many important eye tests are done. No long waiting like in doctors' rooms.